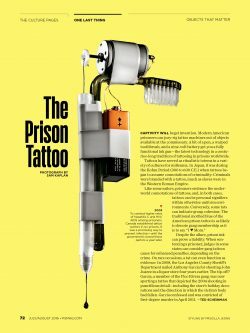 A magazine goes through many changes, comes out fresh to order. 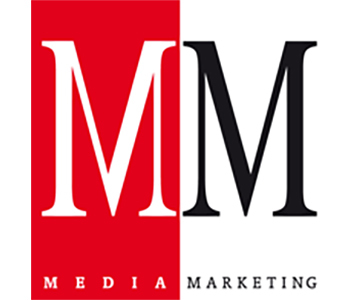 They say the website homepage refresh approach is falling out of popularity in an attempt to gain share in the lives of consumers. A fresh coat of paint does not a new wall make. 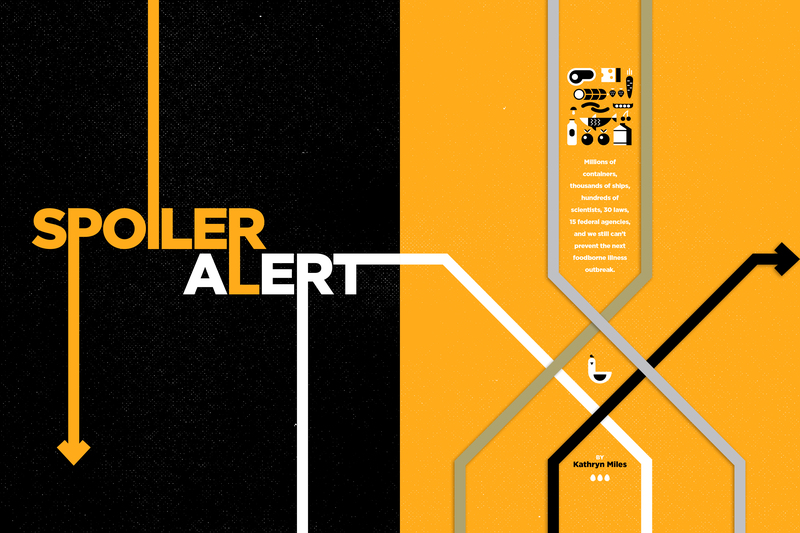 But in terms of print, we’re very much believers in the craft and in re-designs on a big scale. 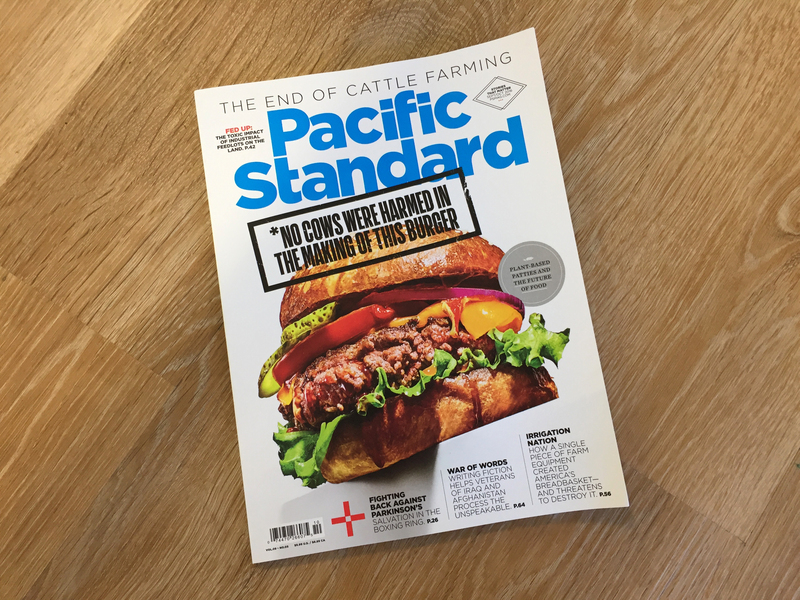 So when Taylor Le, Creative Director of Pacific Standard, sent us news about a fresh new looking Food Issue (SEPT/OCT) – with a sneak peek at a couple of the layouts – we were thrilled and…ready to grill. 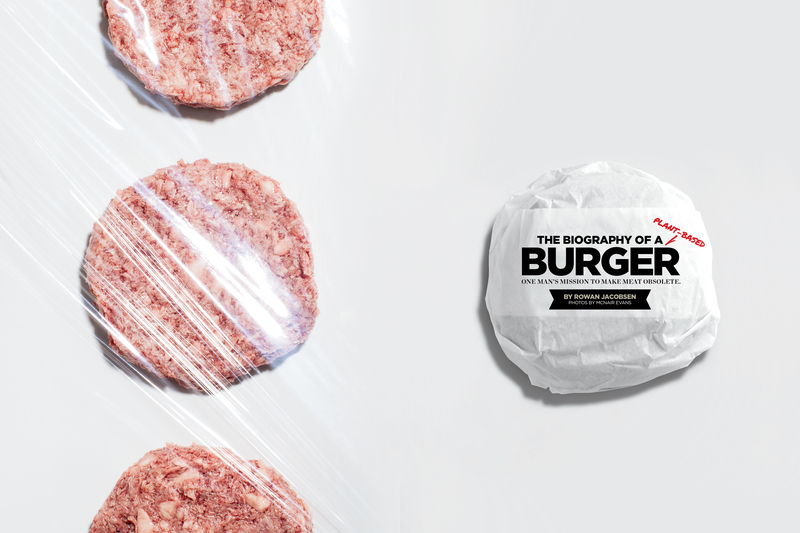 I mean, a plant-based burger that smells, tastes, and bleeds like real meat, aptly named Impossible Burger, is this issues’ cover model. 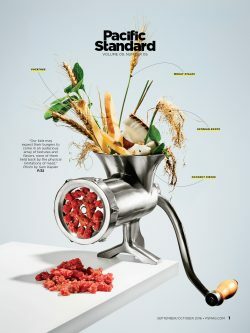 The ‘Future of Food’ issue is their second since the re-design. We’ve got to hand it to the Cali-based team, that this new re-design is a job well done. Read our Q&A with Taylor and learn more about her incredible journey below. You have quite an incredible story. Can you share? After high school, I tried a year in college and decided that school wasn’t for me. At the time, I was interning at a local punk zine, a music label, working a part-time job, and going to classes. I was super energized and inspired when I was around people and working on projects that challenged me. There was so much movement and creativity at my internships. I dreaded school. Every minute in class I felt that I could have been out there creating something, making a connection, and learning by doing. One day I just stopped showing up to school. I told my dad. I got an ultimatum. I got kicked out. I had $500 in cash tips from my part-time job. I drove off to Los Angeles and lived in my car for 2 months. I showered at the gym. I used the internet at Kinko’s. I spent a lot of time at the magazine racks at Borders in Santa Monica. How did you get off the streets and end up where you are today? I was picking up cash jobs off Craigslist. That included modeling jobs, working convention booths, things like that. Eventually, that lead to creating model composite cards to further my job. I couldn’t afford a professional designer or printer at the time so I decided to do it myself at Kinko’s. I spent many hours at Borders to start a personal black book of magazine contacts with office addresses and email addresses of editors, creative directors, art directors, you name it. I started emailing these folks to introduce myself. Sometimes I’d hear back. A lot of the times I didn’t. The ones I heard back from, I’d highlight. I made sure to check in with them every now and then to build some kind of relationship. One day, I got a response back from Atomic Magazine creator Jeff Griffith. He asked me about the composite card design, who shot my photographs, who directed it, and many emails later, lead to him asking, “have you ever considered a career in art direction?”. I had no idea what an art director was. 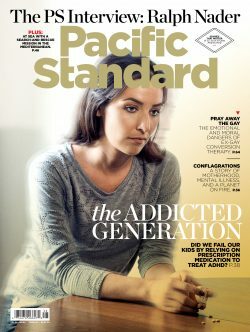 Now, I’m a creative director at Pacific Standard. I’ve been in the industry for about 15 years. 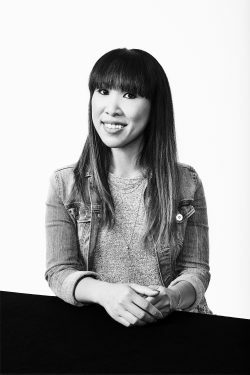 What’s been the most exciting thing joining the Pacific Standard team? I guess I would have to say the most exciting thing is the passion in this office. Most of our staffers came from bigger places to be apart of this smaller, non-profit, social justice magazine because they believe in our mission. There’s a commitment to telling stories that matter and getting information out there that is valuable to the public. It’s a humbling experience to be surrounded by such amazing people. 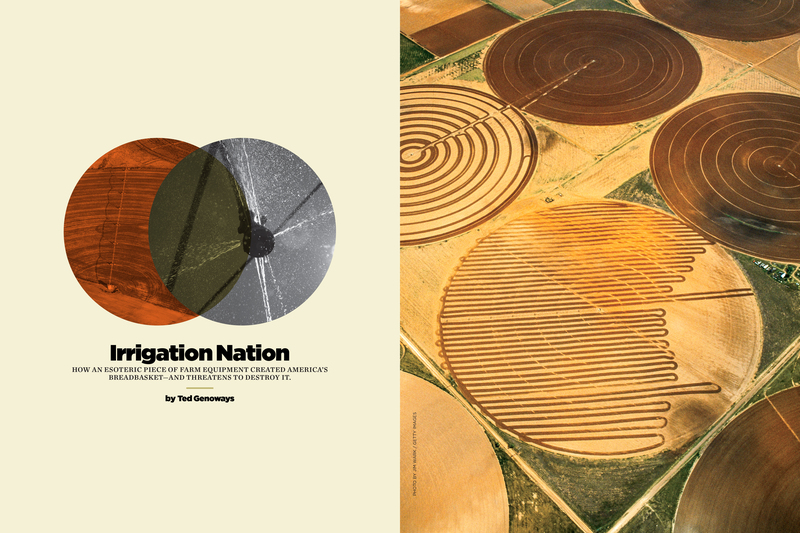 We’re a collaborative bunch and we put our heart into making research, media, public policy, academia, and technology engaging and compelling—through words, design, and photos. I am constantly challenged and inspired. I love it. 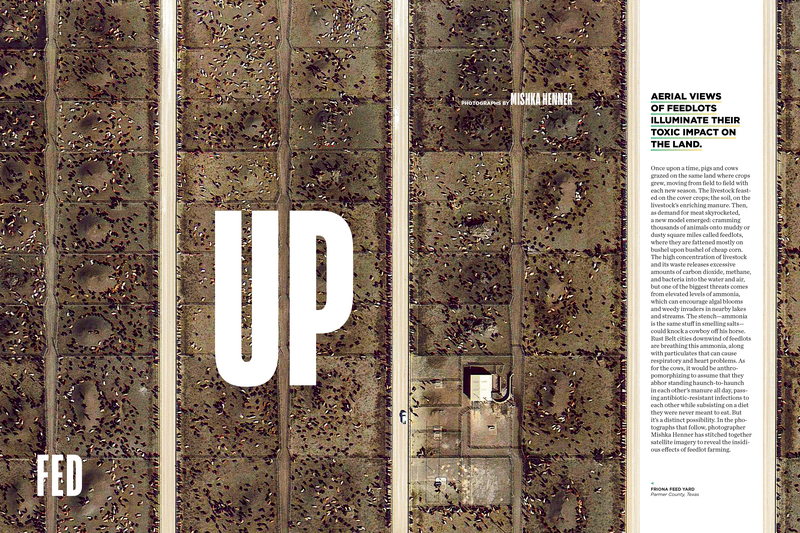 The recent re-design of the magazine which debuted in the July/August issue is my proudest project. I’m grateful to have 100% trust and support from the PS team and its founder, Sara Miller-McCune, who started Sage Publications 50 years ago. The Nov/Dec issue just came out and is available at selected newsstands and bookstores. 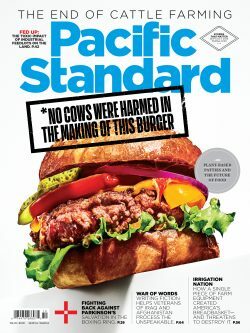 The cover features the Impossible Burger (photographed by Sam Kaplan)—a plant-based patty that bleeds and tastes like real meat. The entire issue is delicious! What was the brief for your recent redesign of the magazine? 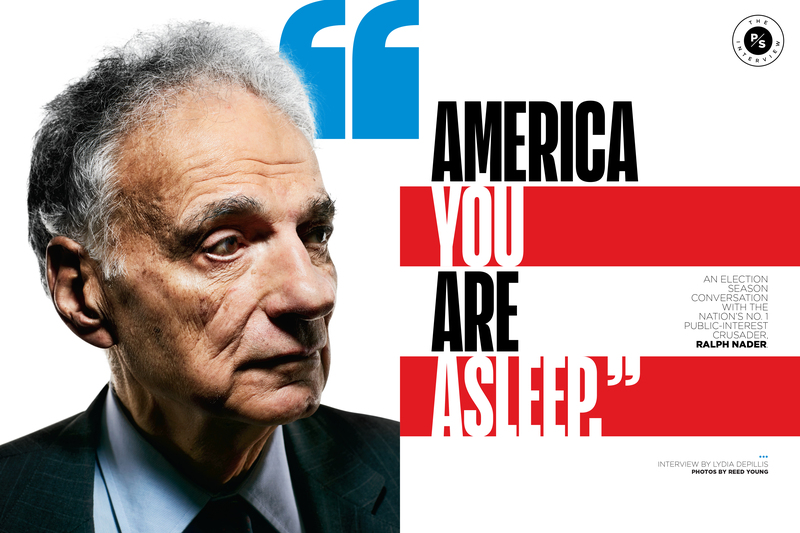 Pacific Standard had gone through a series of re-designs, logos, and tag lines in its past. The difference now is that we have a full-time staff dedicated to crafting the print magazine and focused on building the brand. My Editor-In-Chief (Nick Jackson) and I were dying to push the reset button the first time we met. We wanted to honor the brand, the mission, and give it the extra attention it deserves. There was so much creative freedom. So much opportunity. Sky’s the limit. 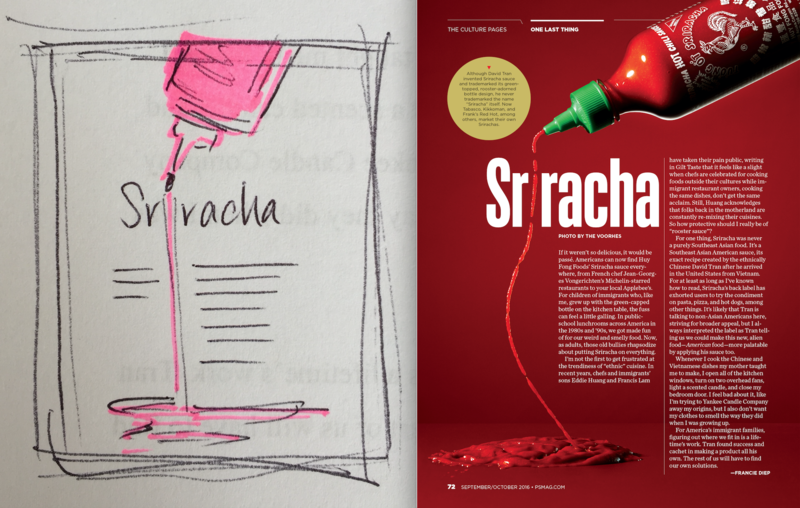 My goal as a designer was to make the book timeless, sophisticated, and exciting. 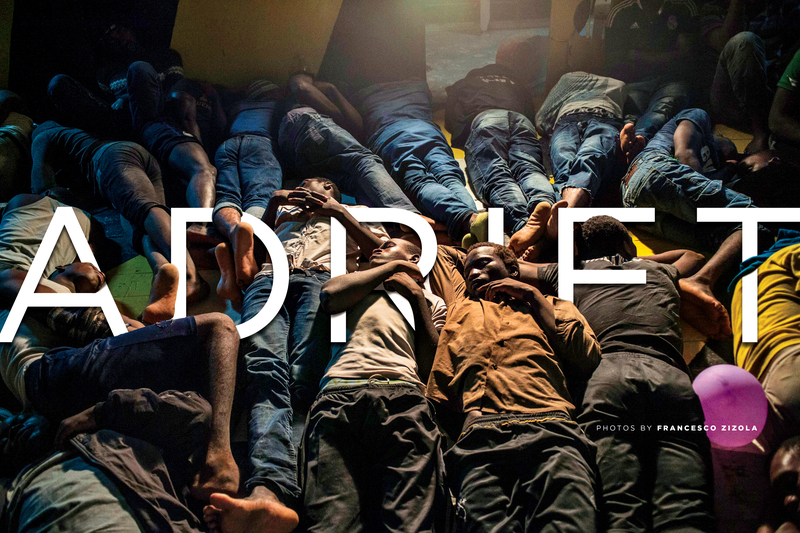 I’m a fan of visual story telling without being too loud with graphics. There is a way to inject excitement without going overboard. Art and words are in a constant dance. Keep pace, stay within beat, and dare to twirl and dip from time to time! When I first started in the Summer of 2015, we didn’t have an office. We met up at coffee shops, worked in warehouses, and sometimes at home. There were roughly 10 of us. Now, we’re up to 18. We have a new logo, a new tag line, a new look, and we’ll never stop evolving. Take us through your issue-to-issue creative process. I doodle the moment an editor pops by to brief me on a story or when I’m reading a draft. It’s hard sometimes to translate rough ideas to wordssmiths so I try to build some kind of mood board with reference photos to further my concept. Once a concept is approved, I assign and share the brief with my artists. I work with a lot of photographers and illustrators. I trust them. It’s important to have that when you’re working with so many different personalities and styles or you’ll end up micromanaging and start to limit their potential. Sometimes ideas don’t turn out the way you want it to. It’s best to keep an open mind, don’t get too married to a single concept, be able to bounce back, and always have solutions. Often times the best ideas come when you least expect it! For the design novice, any advice you can bestow?